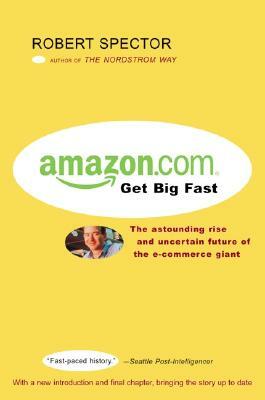 In Amazon.com Jeff Bezos built something the world had never seen. He created the most recognized brand name on the Internet, became for a time one of the richest men in the world, and was crowned "the king of cyber-commerce." Yet for all the media exposure, the inside story of Amazon.com has never really been told. In this revealing, unauthorized account, Robert Spector, journalist and best-selling author, gives us this up-to-date, fast-paced, behind-the-scenes story of the company's creation and rise, its tumultuous present, and its uncertain future. Robert Spector has reported on business for USA Today, UPI International, NASDAQ Magazine, and Women's Wear Daily and appears frequently on television and radio. He is the author of the national bestseller The Nordstrom Way.